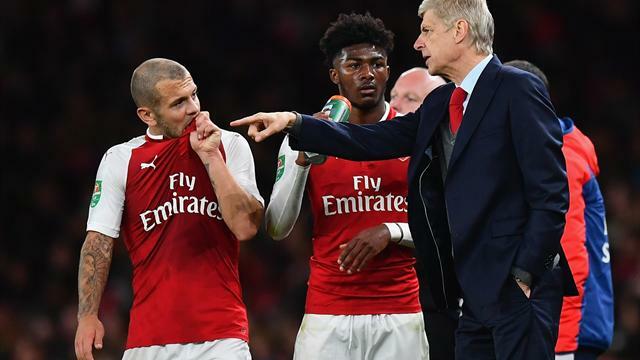 Jack Wiishere has said that former Arsenal boss was 'sacked' by the club, despite the club and manager saying he was stepping down by his own choice. The Frenchman had a year remaining on his contract but left without completing the final season. "I was in the last year of my contract, and I spoke with the manager at the time, Arsene Wenger, and he said that they won't be offering me a new deal and that I could leave. "But at the time I was injured and it was difficult, because I wasn't fit and I wasn't playing, and not many teams wanted me injured. "So I decided to stay and I got back into the team and they finally offered me a deal in January which I was ready to sign, and then Arsene got sacked. "It was strange, everyone was just shocked and Per Mertesacker, the captain, said a few words, and I think everyone was just in shock. "It was strange. No-one really saw it coming, but it changed everything, and I wanted to wait to speak to the new manager. And I did, and he was brilliant, he was honest with me. "He said you can stay, but you won't be in my starting XI, so I thought it was the right time to finally leave." Wilshere left Arsena to join West Ham on a free transfer after a year on loan at Bournemouth last season.